Today, lets talk about monetizing. There are several different affiliate programs to choose from, but finding the best affiliate programs for bloggers or website hobbyists isn't always the simplest of tasks, so it's worth a look to delve into or at minimum provide some insight into a network that meets certain qualifications that make it worthy of a blog post. Making money online is going to be a goal for you at some point and there's nothing wrong with that, but there are affiliate programs that pay out pennies on the dollar and there are others that are far more generous. There are also affiliate programs and networks that will give you a legion of people to help you promote your own products too. So with that said, lets talk about generating revenue for your blog or website and connecting your blog content to a network with products that will generate dollars for you. The network that we'll be talking about today is going to be Shareasale. This comprehensive post on this network is also designed to be more of a follow along and you'll see what I mean as you see areas designated as "action steps". While it is not required as affiliate links have been used in this post, the information will be a bit easier to follow by completing those action steps which will get you access to your dashboard and that is why the content has been written this way. With that said and for the sake of clarification, the completion of each action step has a purpose to compliment your understanding of the network in it's entirety. With that said, before we proceed any further, I'd like to explain a couple of things first: particularly addressing the two different types of accounts that exist to help you determine which of the two will be right for you. (1) If you have your own product to sell, this network allows you to set up shop as an advertiser so you're able to position yourself so that others will sell your items for you. In this option, you make money and so do the people selling for you. This is a great way to generate revenue by harnessing the power of a big network that helps you find other people that will sell "your" items. In Shareasale, these are called MERCHANT accounts. Disclaimer: Merchant accounts are not free. You will be accessing the mountain of traffic that Shareasale sees on a daily basis for your products and getting exposure that you are unlikely to find elsewhere. Shareasale is currently listed in the top 1000 websites online. (2) As an affiliate of Shareasale, this type of account is no cost and shouldn't be since you're helping to promote other people's products and you should be rewarded for your efforts. With that said, Shareasale allows you to sell other people's items and receive a commission just for promoting items that are relevant to your own content. Shareasale hosts over 4,000 programs in over 40 different categories. If you're "not" someone with products of your own to sell, then this is the type of account you want. These are called AFFILIATE accounts. Shareasale is one of the top tier affiliate networks that exist because of it's sheer size, consistency of payouts, merchant and affiliate trust and variety. Ingredients that lead to dollars for both affiliates and merchants alike. There's something there for everyone across several different content and product niches and that is what makes them so attractive to such a large number of blog and website owners. So as we go through this, there are some ACTION STEPS as mentioned in the introduction that you should complete in order to successfully follow along in this Shareasale overview. These steps will you to absorb this information in small easy to digest pieces from within your own Shareasale account and dashboard. Click the action step button below in order to proceed to select your account and login to your dashboard. Create your account with Shareasale. REMEMBER: as I said earlier in the post, if you have products to sell then select this type of account: Merchant Account. Now that you've completed the action step, lets move on to the next part of this post. Each of these sections also contain additional information for you that I will briefly explain. I will also mention that the dashboard takes a little getting used to, but for me I like it's functionality, but that will differ from user to user, however you should be able to see what I mean at this point since you've completed action step #1. (1) Activity details on your promotions is pretty self explanatory. If there's any activity on any of your affiliate links those details are going to show up here. You can see which merchant it came from, the currency in which the sale was made, the date it took place, a transaction ID, the actual sale amount and what commission you made from the transaction. Additionally, you can see the page from which the visitor came from that lead to the conversion on your affiliate link too. Any sub tracking that you have enabled will also show on this page too. You also have the ability to specify any number of parameters to drill down your data even further on this page. This information will be displayed by the start and end date that you specified. (3) The today at a glance in the reports section is very nice. I like the quick and concise summary that it gives you. You can view the merchant, website, status, commissions, raw hits, manual credits, conversions without any additional fluff. It's a very straight forward way to view your affiliate activity. You can also specify the merchant here and order by currently seven parameters from merchant ID to Net EPC(100) which is basically how much money is earned per 100 clicks to the merchants website which is also called a trending EPC. (5) The download CSV area is exactly what you would think it is. This is something that you don't always see with affiliate sites where it's designated it's own section. You typically see it embedded within other sections but usually not given it's own area as it is with Shareasale. Nevertheless, you can download any number of transactions and currently they let you go back as far as 2010 which is unique because that's a lot of data that they have kept housed over the years, but should also help you feel confident that they maintain their data and don't just dismiss it after a year or two. (6) In the payment summary section, this area is self explanatory. Select the month and order by total commission dollar amount, total number of transactions, merchant name or merchant ID. Once you've done that, choose your sort and you also have the option to create a text file to download. You can also see your data in a visual graph including a CSV data report that can be generated too. 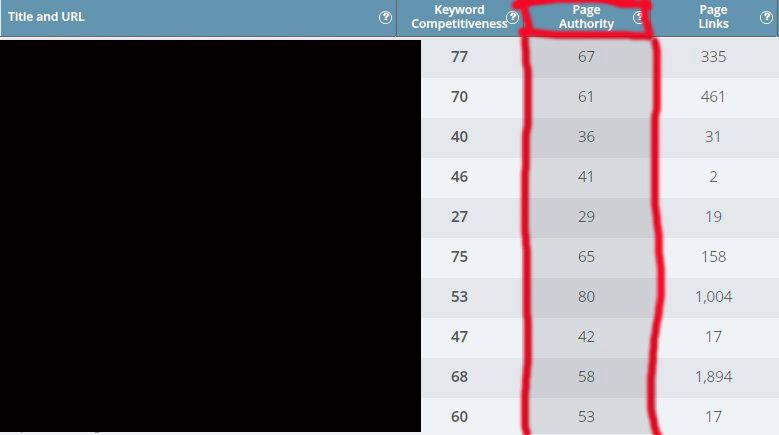 Order by commissions, hits, sales and approval status that will produce a summary at the bottom of the page that may be several pages depending on how many merchant relationships you have and the activity on your account, but again it's a larger breakdown from anything else that you would have seen to this point. (1) Search for merchants section allows you to search for merchants by keyword, advanced search which also includes being able to search by what is exclusive to Shareasale, merchants that do auto-deposit, per sale commission, cookie length (ranges anywhere from less than 30 days to lifetime cookies), programs that you have not yet joined, those that provide a datafeed, affiliate auto approval, per lead (CPA), has bonus campaigns, listed on GoldenCAN, merchants with coupons, those that have two tier programs, merchants that operate on a CPC basis, merchants that are listed on bounce.cc. In addition to that, Shareasale also gives you the ability to sort results by 7 day EPC, 30 day EPC, sale commission, lead commission, hit/click commission, alphabetical, start date, cookie length, power rank or joined status. Shareasale also gives you the option to find and join several different merchants at once by using something called - BASKETS -. It works very similar to a shopping cart. As you do your search, if you find many merchants that you want to apply to all at once, just click each one and add them to your basket. Now that you have your account, go to the merchants tab and click on search for merchants and on the left hand side as indicated here, click on new basket and proceed to name your basket. These baskets can also be used for adding multiple products into them too. Beyond that, you can also search by category and that is also self explanatory. Pick the category of most interest to you and proceed. Once you do that, you'll get pages with specific information related to applicable merchants. You will see the merchant name, their web address, the categories to which they belong, a join program link, the add to basket link, your commission rate, length of their cookie, reversal rates, EPC's, average sales and average commissions. You can also get previews of their description, past newsletters if applicable, their creatives and any coupons as well. Find a program (use the by category option in the search for merchants section). Find a few programs that you'd like to join and use the add to basket link. You will see each item dropped in your basket appear under the name of your new basket. For your basket, you can delete your basket, delete all the items in your basket, download the contents of your basket to either an csv or xml file, email the contents of your basket to the email you have on file with Shareasale, open the basket detail page, edit the basket or enable the note toggle mode. Familiarize yourself with this feature by adding and manipulating what's in your basket. As you can see from this list, there's a little bit of everything here and this becomes useful in narrowing down your focus for the type of merchant that you are seeking that has a data feed. number of products in data feed etc. (4) The Black Friday & Cyber Monday Edition is primarily for.. well you guessed it, the two days of the year where typically unheard of deals are up for the taking. In this section, Shareasale gives you the opportunity to view all at once, all of their Black Friday / Cyber Monday deals and keep in mind, this can apply to any category that they have within their database as long as the merchant has designated their offer as a Black Friday or Cyber Monday deal. Additionally, you can get instant auto notifications of new deals that fall in this category too by subscribing to the xml rss feed (e.g. it's the orange button that says xml). (5) The next area to discuss is on invitations and settings. This is where merchants can send you invitations to join their programs. It's a win win for both you and the merchant. They make money by you helping them to promote their products and you make money when you help them make a sale. When you receive an invitation from a merchant you have the opportunity to choose to accept it or reject it. In this section you can choose to receive merchant invitations or to never display them and this option also extends to not receiving these invitations by email as well. You also have an email section where you can click to receive emails with merchant invitation content or to not receive such emails. Additionally, your invitation history will be displayed on this page as well. (6) Engage with merchants is one of their newer features. It's basically a fish bowl for merchants and affiliates. In short, it's a social network for merchants and affiliates. It gives you the opportunity to interact directly with merchants. Many of the features here are self explanatory and are similar to what you would find on any other social network. However, it's very unique to see such a platform for an affiliate network. Click on "engage merchants" and when the Affiliate Aquarium comes up, create your user name. After selecting your options, you will click search. The affiliate aquarium will generate results for you. The merchants it brings up should have a bio, contact name and depending on the merchant there may be a few additional details. On the left side of the page, you can click whether you'd like to request a friendship with them or send a message to them directly. The purpose behind this affiliate social network is to reach out to merchants directly and establish relationships and to communicate with them. (7) In the download your merchant list section, you're able to get a report generated of all the merchants that you're associated with in a text file. This report will include the merchant name, merchant website address, merchant email address, their activity status etc. Personally I think the report could use some refinement but regardless the report is particularly useful for those that work with several merchants and need a list to keep everything organized. Shareasale does give you a list of the column headers so that you can paste them into a spreadsheet which is a helpful gesture on their part in this section. (1) In the get a link / banner section, this is the area where you get your creatives and affiliate links for any merchant that you're associated with. You can search by specific merchants using the drop down menu and this will be a menu of all of "your" merchants. You can type in the name of the merchant that you're seeking. You can search for merchants in specific categories (same category list mentioned in the merchant datafeeds section earlier in this post), search by relationship status (e.g. approved, pending, declined), order by application date, merchant name, sale commission, lead commission, hit commission, approval status and program directory. Below all of your sorting and selection options, you'll see all of your merchant programs, their program status, program category, their organization which will include their website address, link to get links and their program description / affiliate agreement, their per sale, per lead, per hit, commission rates, your approval status and merchant application date. (Sections 2,3 & 4 have already been covered prior to this in the merchants section). (5) Videos are all about access to available videos that you can promote that compliment the merchant products that you're associated with. If you prefer to promote through videos, this section is helpful because you can search for merchants that have videos that talk about their products. Many people find videos more engaging and this area lessens the amount of time that you could potentially spend searching the database for this type of content. (6) The create a custom link section allows you take a standard link and turn it into a shortened link that becomes much easier for sharing. It takes all those long and messy affiliate links from Shareasale and turns them into something much smaller, manageable and cleaner. Now that you have done that click on your selection and it should open in a new window. Copy the website address and make sure to remove the http:// from the website address and paste it into the destination url: box. In the create license plate link (shortened url) area, click yes in the drop down box and then click on create custom link. (7) The next area in links is on gift cards. This is pretty straight forward whereby it's an area where merchants have uploaded banners and other creatives that affiliates can embed on their landing pages, websites and blogs to promote promotional deals & gift cards. It's all consolidated into this area which makes it a good resource for affiliates that are looking for something a bit more specific as found in this gateway. In the table below the page options you will find the following headings: giftcardID, title, monetary value, publish date, description of the gift card or deal and a view link where you can preview any creatives and information associated with the deal or gift card. (8) The last section in links is FTP access to merchant datafeeds and I have never had access to that feature so I am unable to elaborate on this particular feature. However, on this page you can also request access from the datafeeds available page. (1) I can tell you that the Shareasale API is a programming interface and that's about it. Beyond that, it gets way too technical for me, but if you're into API's then I'd welcome you to share your comments in regards to their API so that others that want to harness the power of the Shareasale API are able to benefit from this section of the tools area. (2) In the make a video section, this is simply an area where you can add your videos to your Shareasale account. The only video's accepted for upload are in mp4 format. In this section there are limited options as to what you can do. 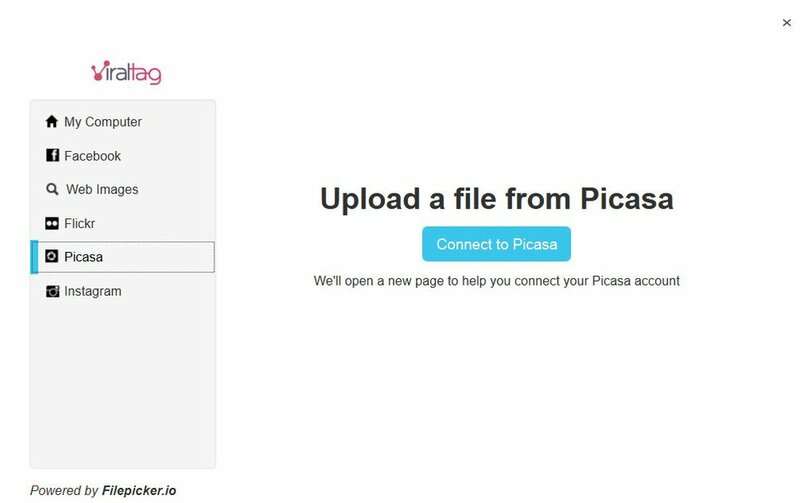 Your options are to add a video or to update your video and / or get a video link. You will notice a link to "previous generation video creatives" and this section is a legacy page. In other words, it's an older version of their add a video page. With that said, there is no need to use the legacy page. Each section allows you to manipulate and change what you see in the window pane to the right. Your page options let you change the border size, width and color. The product display options will let you change the product display information. The labels however are fixed and honestly there's no need to change anything there even if you could, but users are not allowed to change those settings. Layout width and height can be changed. In addition to that, some other changes that can be made include the layout height, width, the thumbnail width, height, border and link color and font. Save and get options are basically your exporting options. You can get your page code, gallery code, save products and merchants to your basket, export to csv and the ability to save your layout template. 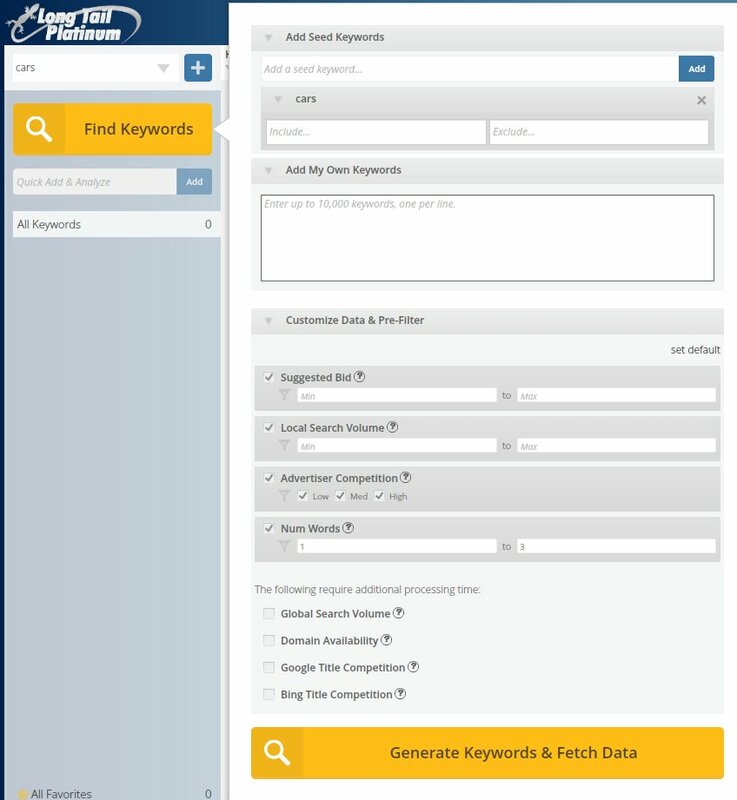 In the search results area, you can perform a new search and perform a limited number of extra search options. (4) The gist of the pay per call section is that you can earn commissions when potential customers call a phone number of a merchant that you're associated with. While I can't speak to any direct experience using this feature, I can tell you that the first thing that you will have to do is click on the pay per call link, then go to the merchants tab and click on search for merchants. Once you've been brought to the search section, you'll type in pay per call and a list of merchants will be generated. From there you'll have to apply to join their program. Each merchant will generate a unique phone number for you upon approval to their program if they are still running a pay per call program. (5) The product showcase is exactly what you would think it would be. You can showcase any number of products for your customers to preview prior to making a purchase. Once you've done that, you'll select either all your merchants or click on the select merchants box. 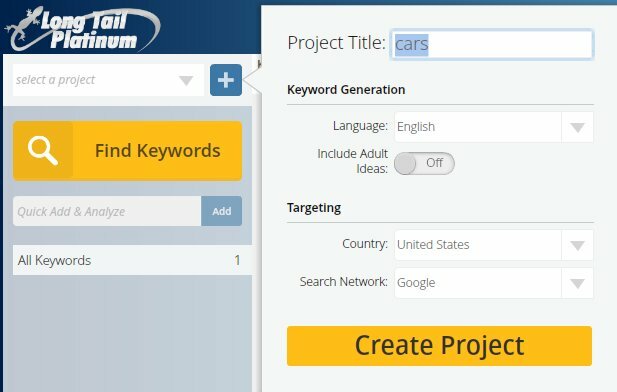 You will have to type in a keyword to populate products for your showcase. Once you've done that, the products will populate on the right side of the screen. 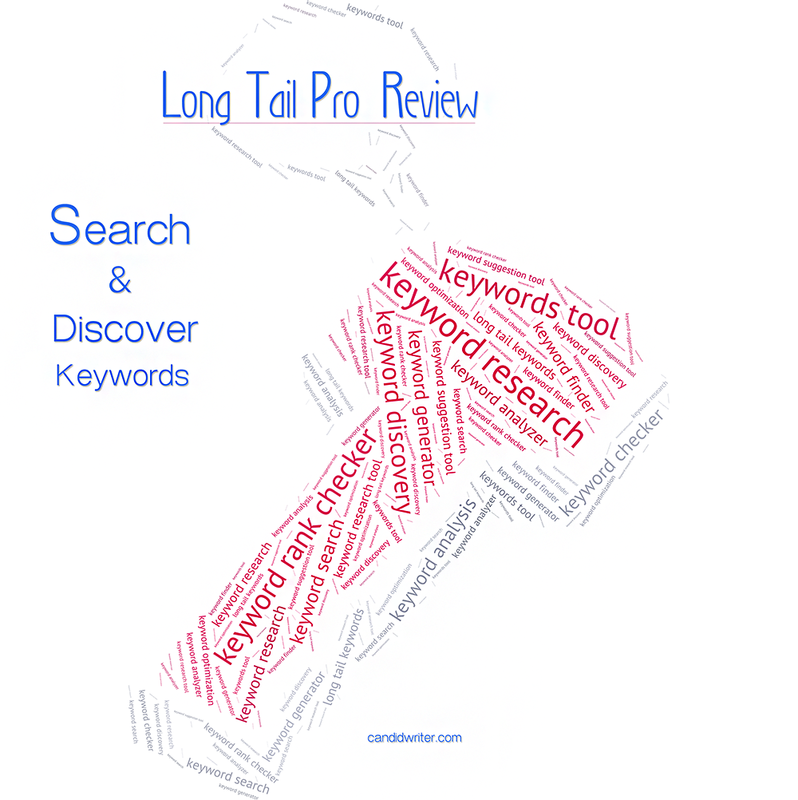 There are 4 steps to this process and populating your keyword so that it generates products in step 2. Step 3 will involve choosing your showcase layout and styling. There are currently 5 different layout options and each time you select a different one it changes in real time so that you can preview what your showcase will look like. Additional options include being able to choose your border color, color scheme, whether you want the products to show as a pop out or not and whether you want select information displayed when the user clicks on the product. Step 4 is simply generating the code that you can use on your page where your showcase will be displayed. (6) In this section, which is your RSS notifications center, you'll find different rss feeds that Shareasale makes available to it's merchants and affiliates. Shareasale utilizes rss feeds as an alternative to email as they feel using this over email is a better way to help you stay informed about notifications, programs, deals and their blog which are also the only feeds that are currently available. If you are not familiar with rss, the only way to read these is through an rss feed reader. RSS feed readers are typically free whether you're accessing it from your phone or computer. (1) In the edit settings area, this is where you'll access your details associated with your account such as your name, address, city, state, phone, email address, the main website url associated with your account profile, other websites that you control that you'll be using Shareasale links on, the website description and redirection option for your error pages which I recommend that you turn on and use as well. Additionally, you'll find that you can specify when you want commissions generated upon reaching a minimum dollar amount. I have mine set to $50, meaning that when my account reaches $50 I know that I will receive a commissions deposit at the end of the month and typically that deposit is generated after the 21st of the month. For any direct deposit, you will have to complete a direct deposit form which is standard procedure for any affiliate program and complete a W9 form for tax purposes. You are also provided with a table that gives you more information in regards to merchants below your selecting and sorting options as well. (3) In the PPC violations section, this is very concise and straightforward information. If you are participating in pay per click programs and are found to be in violation of the rules, your violations can be reported to merchants and each infraction will be listed on this page. Shareasale has a 3 strike rule. Affiliates get an opportunity to respond to these violations and Shareasale reviews each case to determine whether a strike should be assessed. After 3 strikes, there is no guarantee that an account will be removed, but the account will be under review for possible termination so be sure to read the PPC guidelines and do not bid on restricted keywords as stated by the merchant that you're associated with. Each merchant is different and these infractions only apply to merchants using PPC programs with their specific and individual PPC rules. You main account would have all of these permissions, but for any additional login or user that you set up may not depending on the permissions that you grant for each additional login that you create. All of this information would be generated for you as you follow the steps to complete the two factor authentication process. This will give you a little extra peace of mind that you're making it more difficult for anyone that is unauthorized to access your account to be able to do so. (6) The view / manage feedback area an area where you can view feedback between you and merchants. This isn't likely to be an area that you'll use as there are other areas to expedite communication between you and other merchants, but it is noted here because it is a subsection in the account tab. (7) The cancel and close your account section is what you'd expect. This page is here strictly for the purposes of permanently closing your Shareasale affiliate account. Once you've closed your account with Shareasale, the account cannot be recovered so proceed only if you're absolutely sure this is the action that you want to take on your account. (1) In the payment settings area you will be able to set up your direct deposit. With that said, as you can see in the following image from my own account (image generated real time December 5, 2015 as I'm writing this post) I've already generated $40.20 in commissions and it's only the 5th day in the month so far. While I only work with a small number of merchants, these commissions are generated from just one of them. With that said, I had to redact my account number and bank name but otherwise you can see how it would show in your account as well. As you can imagine, some programs you join will prove to be more successful than others, but that is not uncommon. Note: If you email me at cw@candidwriter.com, with "who's the Shareasale merchant" in the subject line, I can share with you this particular merchant if you'd like to join their program on Shareasale too as it seems to be working out well for me right now. (2) In the 1099 tax form section, this is where Shareasale will show you the 1099's that it has generated for you. If you generate more than $600 dollars in commissions for any given year, you will receive a 1099 because that income must be reported. However, anything less than $600 will not generate a 1099. Nevertheless, it still goes without saying that if you generate income from commissions earned on Shareasale, US tax law still requires that you report that income even if you earned less than the baseline amount of $600. (3) In the past revenue report, this section will allow you to see in a table / graph the income that you've generated by month and the amount. You are only allowed to look at an 18 month window. Anything beyond 18 months will not be shown to you in this section. With that said, you can however select your starting date and then choose your 0-18 month window from there. Shareasale will report according activity for each section as needed and you will see it noted if there is anything that needs to be reported. (6) In the non tracked order inquiries, there are limited situations where orders are not tracked properly or orders aren't received when they are made. If a report is placed in this section, then Shareasale will check the system to see if the order does indeed exist and if it doesn't then the support team will look into this and try to get the issue resolved. This will typically result in Shareasale contacting the merchant to get the matter resolved. 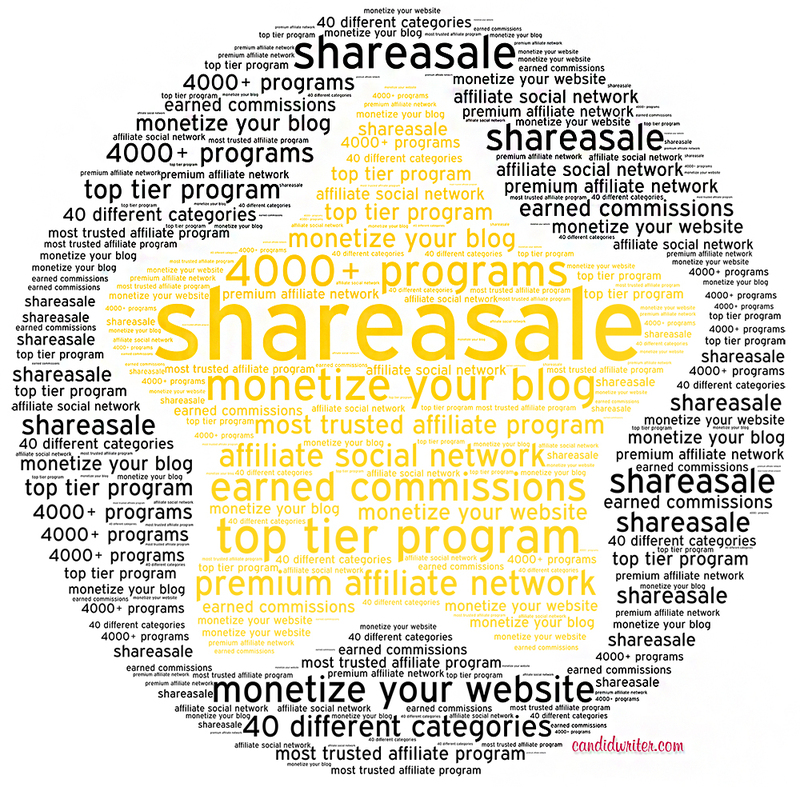 With that said, this would conclude my in-depth overview of the Shareasale affiliate program and while much of the focus was placed on the affiliate side, this top tier network, while not perfect as no network is, still remains among the most stable affiliate networks online in terms of reliability, consistency and trust among it's affiliates and merchants. Has curiosity led you to an Instagram search ? Has curiosity led you to wonder what’s behind the Instagram sign up and Instagram login window ? Maybe you’re someone that has yet to take much interest in the social network platform that is insta “insert cool name here”. Whatever the reason, this is a platform worth taking notice of with millions of users hailing it’s praises. While I wrote an Instagram blog post about gaining more followers using a few different strategies, that was done before a new program started to make waves online. That new program is called “Instawoot”. I got a nifty little invitation in my email from Alexander Cruz, the maker of social media apps like Viralwoot. One of these days I may make a post on Viralwoot as I think you’ll love that one too. [[ Instawoot is an easy to use web tool to boost your Instagram following & engagement in an organic yet quick manner. Moreover, you will also be able to track your Instagram influence score & other useful Instagram stats to understand your Instagram presence & performance like never before. Oh Yes, it is free to use. If you can take out just 10 minutes from your busy schedule to just to go through www.Instawoot.com, I will be really grateful to you. Looking forward to hear your feedback. I am always available at contact@instawoot.com. So of course, the curiosity of the invitation led me to check this out. At the time of the invite, when I signed up, there were roughly 900+ invited users ahead of me waiting in line and within 5 days I received my congratulatory email with very light promotion of the link Instawoot gave me to help me move up in line. Yep, that’s pretty cool right.. the more people that click your link and sign up through it moves you up in front of other people that haven’t tried to promote their own link. In a couple of days I moved up 500 spots ! 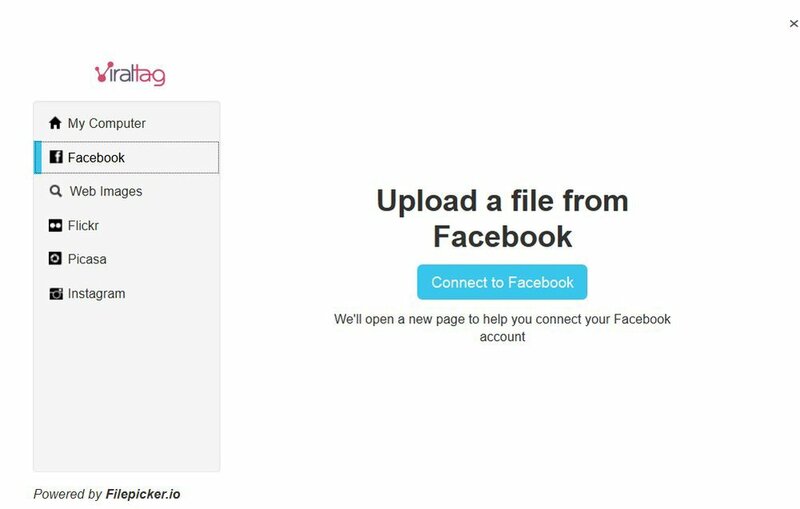 Instawoot provides you with the ability to promote your link through social media outlets like LinkedIN, Twitter and a couple others or however else you want to promote it. I promoted my link through a blogger promotional tool called Justretweet. The link above is to the blog post that I wrote speaking about that tool, so if you haven’t read it yet, you should take a quick look.. it’s part of my blogger toolkit as one of those essential tools needed to promote content online. Once you sign up, you can easily promote your link with the 100 free credits that they give you to use their system as a new user. Congrats! Your wait is finally over and you are all set to use your Instawoot account. Currently, your Instagram account is visible to thousands of other Instagram users on Instawoot and soon you will start seeing some new followers and likes coming in. We have noticed that if someone follows you or likes your post via Instawoot, he or she further explores your Instagram account and you end up getting even more organic likes out of Instawoot for free, hence this facilitates accelerated organic growth while maintaining the quality of the ecosystem. You must have noticed that we have launched Instawoot with just few basic features but we have lots of amazing things in the pipeline like Post Scheduling, Instagram Influence Score, Tag Search & Suggestions and much more. I am pretty sure that with time and your continuous support & feedback, Instawoot will emerge as a valuable tool for whole of the Instagram community. Mr. Cruz is absolutely right that the dashboard is pretty minimal right now in terms of what you can do but as the email states, there are new features that are coming and I look forward to seeing the development of this product because if it’s anything like other applications he’s developed I think that this is going to catch on pretty quickly. This is especially true for those of us looking for “ethical” ways to grow our Instagram accounts without using hacks or other methods to inflate follower numbers that could quickly lead to getting an account closed or banned. Neverthelesss, let’s assume that you’ve signed up and have received your welcome to Instawoot email. Once you’re in, here’s what the dashboard looks like. The "follow users" tab is pretty self explanatory. Instawoot, calls users “igers”.. it’s a little weird to me but I guess that’s what they came up with as a way to shorten the word Instagramers. Still a strange word.. maybe they’ll stick with it, maybe they’ll change it.. only time will tell. Either way, you can click to follow users, but currently they will throttle how many you can follow each hour. For each user that you follow, you will earn credits and that number of credits is outlined beside each user. On the “like posts” option that is available to you, you can like a post and earn credits that way as well. From what I’ve seen most of those will only earn you 2 credits for each like you give. On the “promote your posts” option, you can promote your own content for 35 credits for each item that you want promoted. The other day when I updated the content on my page, the page didn’t show the updated posts, but as of today a new button has been added called “fetch missing or new posts” which fixes the updating problem I encountered and it works well so that tells me they are still working out the bugs but I’ve got no complaints outside of the 35 credits which I personally think is kind of high but maybe they’ll provide a tiered option later or adjust it as they see fit. Time will tell on this as well. In the “my promotions” tab, this is where you can monitor the promoted posts that you’ve paid for and in the “account settings” page this is pretty standard as you have the ability to change your name, email, bio and credit settings. I mention the credit settings because you can set how many credits you’re willing to release for each follower and like you get towards your posts. My account is set at the maximum which is currently 4 for each option which I would assume Instawoot will likely allow you to increase to something greater than 4 as their user base increases and development of the product and it’s features becomes more expansive. Instawoot is the new “big thing” in the Instagram tool conversation and it’s an exciting time for bloggers, marketers and nearly any one else looking to grow their Instagram following and engagement on their accounts safely. If you haven't heard of Viraltag then hopefully this informative Viraltag review will shed some light on the benefits of using it to compliment what you do with Pinterest. Your interest may have even peaked a little understanding that this review is associated with Pinterest as well since there are still many businesses, marketers, bloggers and website owners that are constantly looking for methods and tools to get the most out of what they can do in their efforts to improve their exposure on Pinterest. Lets touch on some Pinterest basics first. So what is Pinterest exactly ? Well, in a nutshell, it's a visual discovery platform. In laymen terms, that just means that you discover content through the use of imagery or photos through boards that are created by the user. These boards all have unique themes that could be anything.. for example.. favorite foods, top fashion trends, must have shoes etc. Now you may wonder, well how's that fit into what I do as a blogger or website owner that doesn't fit into any of those categories. My answer to you would simply be that I had the same question that you have when I learned about Pinterest too, but I've also learned that Pinterest is a great fit for "anyone". To see how I use Pinterest to align to the content that I write about, just visit my Pinterest board to get some ideas as to how you can use it for yourself. You can either follow me or follow any of my boards you like that are of interest to you while you're there: Candid Writer On Pinterest. People spend on average more than 10 minutes per visit on Pinterest which means that people are engaged and active on this website in a meaningful way which is good for you if you have boards on their website too. However, as someone that has created several boards there, it is very time consuming to pin photos "manually" so finding a tool that can make more efficient use of time isn't a bad idea. In fact, it's highly recommended. I personally use a couple of tools for Pinterest pin management and Viraltag is the newest addition to my toolkit. At it's core function, this platform serves as a scheduling management tool for your activities on Pinterest. With that said, the first thing that you should be aware of is their pricing schedule. Unfortunately, they aren't a completely free tool, but you can try them out for free by clicking on any of the activate viraltag buttons as the one seen above. As you can see depicted in the image with respect to your social profiles, one thing that I do like about Viraltag is that you get to push your scheduled images to several social profiles upon publishing which allows for increased exposure for your pins. This is definitely a huge benefit to using the scheduler in conjunction with any of the social accounts that you choose to connect.. something that I will get into a little later on in the post. Scheduled Posts - this section shows you the images that you have scheduled that include details such as time to be scheduled, the link and description associated with the scheduled image, the connected account that you also want associated with that image and the date when the post will be published to the selected Pinterest board selected for the post as well. All of this is viewable in the image below including the "bulk options". You can apply one board, one description and one link to all of your images at the same time. A very nice utility if you're not interested in varying the information from image to image. Recent Posts - shows you the most recent published posts. Failed Posts - posts that the system was not able to publish to your board. Retrying / rescheduling may result in a good submission. Posting Schedule - allows you specify time frames for when you want posts to be scheduled (Disclosure: not an option that I have used since I find the regular scheduler meets my needs adequately for my boards). Discover - this section allows you to discover images that you can pin to your boards if you need a little inspiration. What I like about this section is that you don't have to leave the website to find the images. It's incorporated right into the discovery page itself. There are several categories to choose from or you can conduct your own search right from this page for images that you want to share or pin.. which can be added to the scheduler simultaneously. Team - Disclosure: I have not been able to get this section to work so I'm still not sure as to what it does yet. Payment Info - Provides basic informational details on your choice of subscription plan. Extensions - Gives you added functionality to the Viral Tag platform by allowing for greater flexibility in how you pin with their bookmarklet and extensions. Three are provided for your use (e.g. Chrome Extension, Safari Extension and the Viraltag bookmarklet for use in Internet Explorer and / or Firefox) as depicted in the image below. Referral Program - Gives you the opportunity to be able to use the platform completely free through referrals. You are provided with a referral link that can be promoted through social media outlets and each time a customer signs up for an upgraded plan you earn a $30 credit for use in the system and the purchaser earns a $15 credit themselves. In closing, I'd like to say this.. that if you've been following my posts for any amount of time you will find that I'm not one to "pitch" anything per se, especially on a product that I have not used or signed up to use myself personally. I value your thoughts as well as I hope you value mine. I will provide you with a post that is informative and leave the rest up to you. With that said, I hope you've enjoyed this walkaround of the Viraltag Pinterest management tool. Thanks for reading. If you liked the post, please use the share buttons below and hopefully I'll see you on Pinterest too.